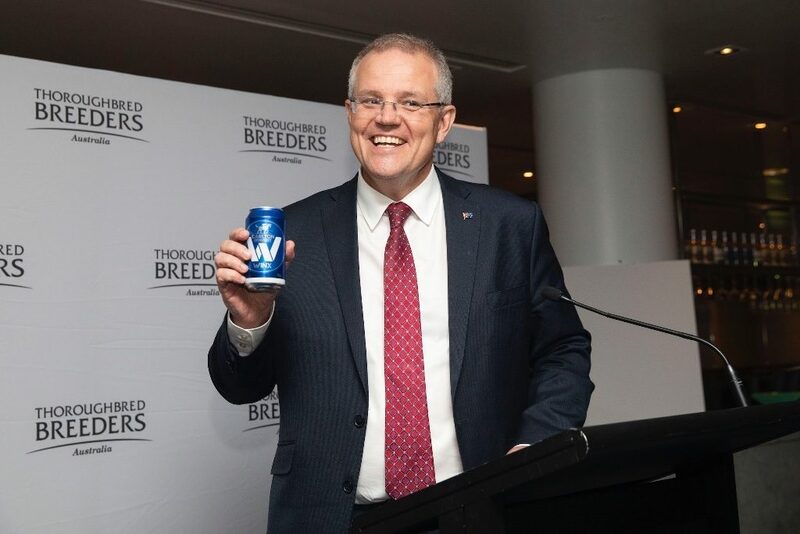 Prime Minister Scott Morrison has backed the thoroughbred breeding industry, declaring horse racing a crucial part of Australian culture. Mr Morrison was joined by MPs from all sides of politics at Parliament House in Canberra to rally behind the industry in an event organised by Thoroughbred Breeders Australia (TBA) and the Parliamentary Friends of Primary Producers. “It is a fair dinkum, very serious business and industry,” Mr Morrison said. He said racing was synonymous with the identity of Australians, pledging to help ensure it remained a crucial part of the country’s fabric with ongoing drought support. “This is a very big deal when it comes to the livelihoods and lifestyle of Australians,” the prime minister said. TBA chief executive Tom Reilly was delighted at a huge turnout for the organisation’s event. “We come to parliament house to talk about breeding and share the industry’s story, and tonight we had all sides of politics line up to pledge their support for what we do,” said Mr Reilly. “It is testament to the fact that breeding and racing are truly part of the fabric of Australian society that so many politicians are here tonight. Opposition Leader Bill Shorten, who has both Flemington and Moonee Valley within his electorate, said his side of politics heard the industry “loud and clear” on issues like drought relief and labour shortages. “I understand that in this industry for a small number of people we need to bring in people from overseas,” the Labor leader said. He said racing was a great industry that couldn’t be taken for granted, noting the importance of farming and racehorse ownership. The Australian breeding industry is the second largest in the world, with an interim economic report showing breeding alone sustained almost 9,500 jobs across the nation. The broader racing industry contributes over $8.5 billion to the national economy, according to the same research, and is responsible for some 69,000 full time jobs in Australia. Deputy Prime Minister and keen racing fan Michael McCormack attended, along with Deputy Nationals Leader Bridget McKenzie, Agriculture Minister David Littleproud and Special Drought Envoy Barnaby Joyce, Labor senator Anthony Chisholm and Liberal MPs Tony Pasin, Warren Entsch and Nicole Flint also were at the event. Chief Government Whip Nola Marino and co-convenor of the Parliamentary Friends of Primary Producers said the bipartisan event united politicians. “This industry is really, really, important, it employs 69,000 people. All of the stud breeders around this room, you know what you mean to rural and regional Australia,” Mrs Marino said. 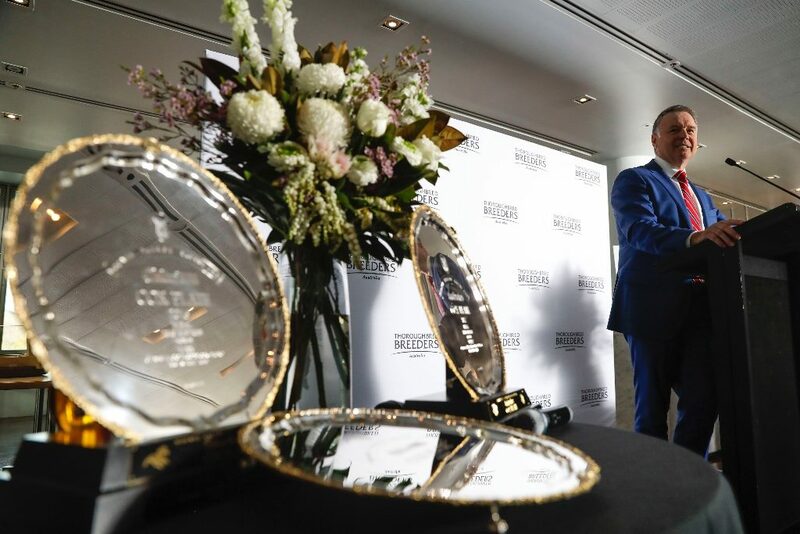 Hunter MP, and Shadow Agriculture Minister and co-convenor of the Parliamentary Friends of Primary Producers, Joel Fitzgibbon said the event had continued its history of reminding us the racing industry begins on a farm. “Next time you’re at Randwick, Flemington or Moonee Valley think about where it all begins,” Mr Fitzgibbon said. He was more than happy to claim the association with Winx, who was bred at Coolmore Stud in his Hunter Valley electorate and on Saturday will seek to take her unbeaten run to 29 races. Winx’s co-owners Debbie Kepitis and Peter Tighe were the star attractions, alongside the champion mare’s three Cox Plates which were on display as she shoots for a record fourth on Saturday. Mrs Kepitis’s famous Ingham family raced champion and leading sire Lonhro before the Australian-bred Winx took the world by storm. “Lonhro was bred here. But nothing make me more proud than it’s an Australian product and also to think that I’ve got a better one than my dad and uncle – and my dad’s jealous,” she said. Melbourne Cup winning jockey Michelle Payne, who is now forging a career as a trainer, reflected on her path to stardom aboard Prince of Penzance. “The love of the animal and growing up with them, learning to work with them and building that association is what I absolutely love about the industry,” she said. 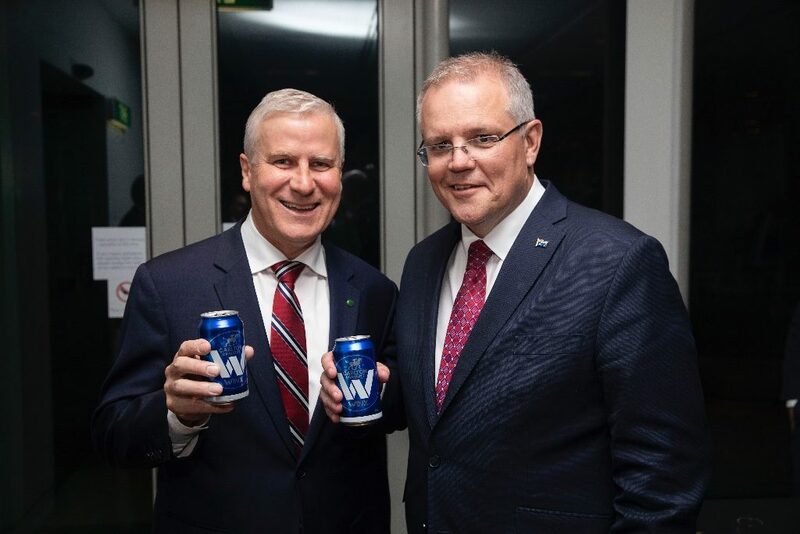 Mr Morrison set the tone of the event by lifting his limited edition Winx Carlton Draught can with a toast: “here’s cheers to the racing industry”. Earlier in the day he had hosted the connections of Winx in his office to offer them a personal message of good luck as the mare seeks an unprecedented fourth Cox Plate. 1. 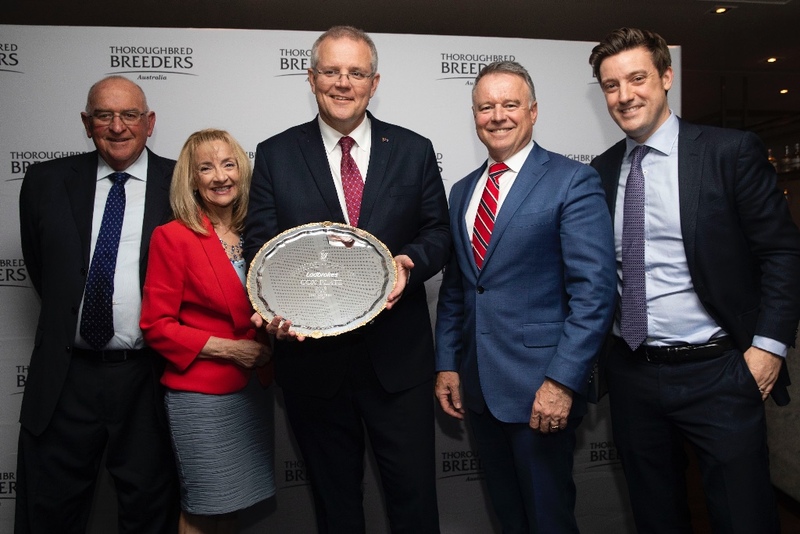 From left: Thoroughbred Breeders Australia President Basil Nolan, Chief Government Whip Nola Marino, Prime Minister The Honourable Scott Morrison, Shadow Minister for Agriculture Joel Fitzgibbon, Thoroughbred Breeders Australia CEO Tom Reilly. 2. 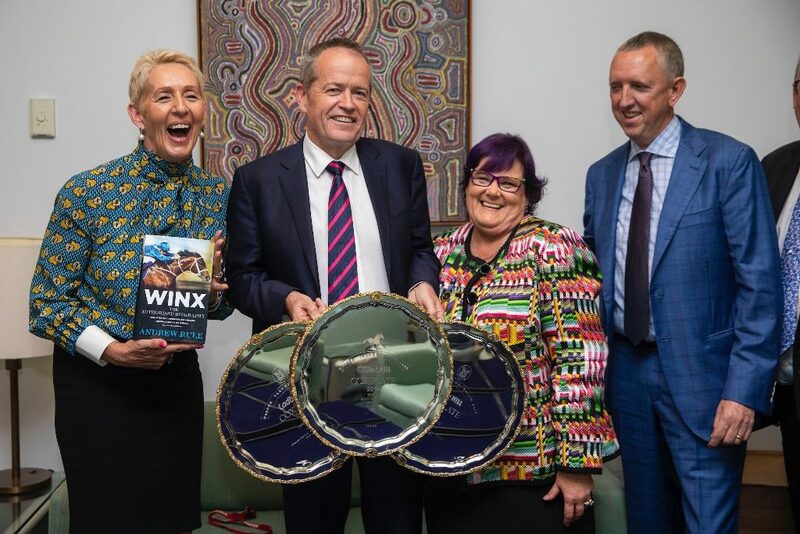 From left: Winx owners Debbie Kepitis, Peter Tighe and Leader of the Opposition Bill Shorten. 3. 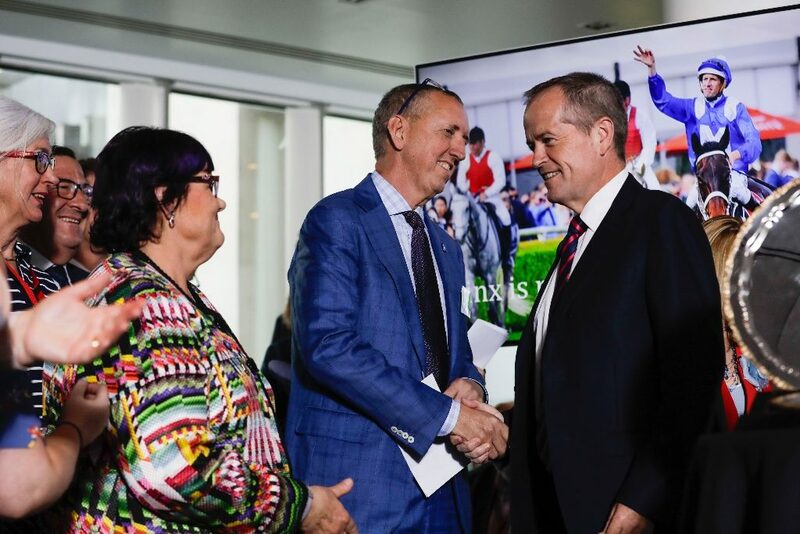 From left: Winx owners Debbie Kepitis, Peter Tighe and Leader of the Opposition Bill Shorten. 4. Winx’s Cox Plates and Shadow Minister for Agriculture Joel Fitzgibbon. 5. 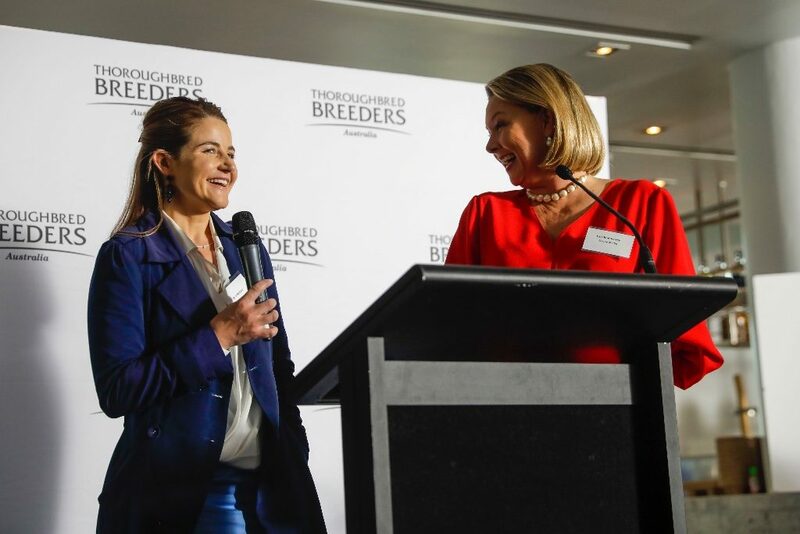 From left: Melbourne Cup winning jockey Michelle Payne and emcee Caroline Searcy. 6. From left: Deputy Prime Minister Michael McCormack and Prime Minister The Honourable Scott Morrison. 7. Prime Minister The Honourable Scott Morrison. 8. 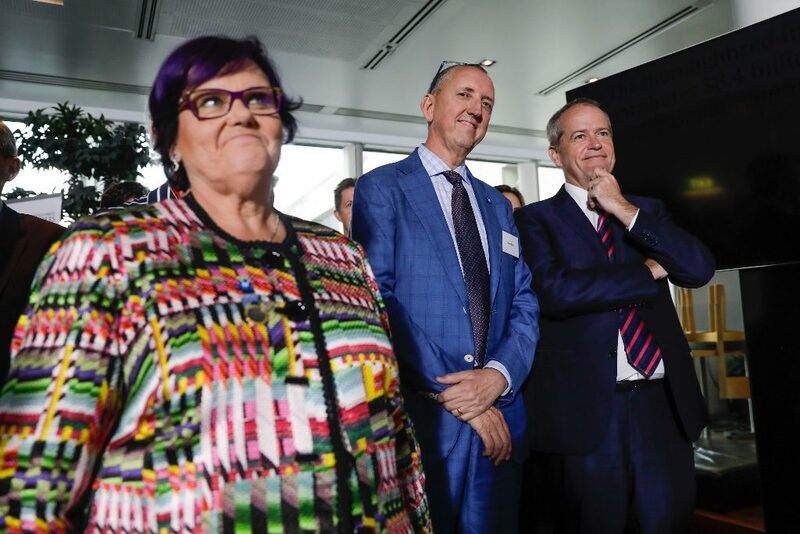 From left: Patty Tighe, Leader of the Opposition Bill Shorten, Debbie Kepitis and Peter Tighe.